Is available for an on-farm lease only. He is a 13-hand hunter jumper show pony. He needs an intermediate rider. 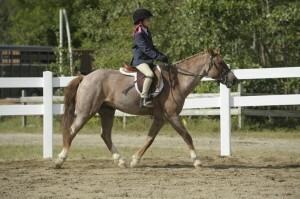 His walk, trot, and canter are very comfortable and he can jump up to 2.6 ft. He also has a very graceful flying lead change. Stands very well on cross ties, easy to tack and un-tack. Has a wonderful attitude/disposition. He isn’t your typical pony! He is very well behaved and loves to work. 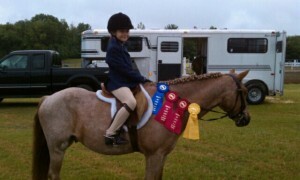 Owner will still be riding him and showing him during show season 2011. Your child will be able to ride 3 days a week plus lesson. You may also show him during show season. Owner will take care of farrier, vet, and insurance.